One day whilst being in the city of White Rock, BC, Canada I was shopping. It was a cloudy drizzly day. By the time I left the shopping centre it started to snow. The beauty of the big snowflakes as they fell silently from the afternoon sky was very magical for an Australian living in a region where snow never falls. As I drove back to the house I was staying at, the snows cover got heavier and heavier on the ground. The pure white snow was clinging to the conifer trees along the streets, as my mind started to wander onto thoughts of how snow, like humans, are born onto this earthly plan all pure and innocent. As the snow falls onto the ground, so are we born of innocence onto the Earth. Just like snow, the longer we exist, our innocence gets covered in dirt and pollution. The more we take on, the more we lose our innocent purity and turn denser and negative. The snow takes on dirt and loses its beauty, eventually turning into blackened ice. Whilst we take on negativity through non-truthful experiences that cloud the purity of our life. Eventually the snow melts and returns to the Earth just like humans, we grow old , wither and die, once again returning back to Earth. 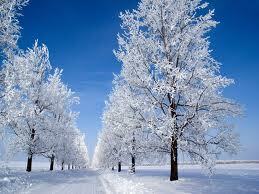 The purity of our divine hearts is like the purity and innocence of freshly fallen snow. At our core we are this divine love. There is nothing to attain or be, as we are already perfect. Recognising that everything we see good in the world we are. Everything we seek in our lives we already have. Just like the snow flake perfect in every way. Trevor Gollagher has over 35 years experience as a spiritual teacher, mentor and visionary. As an author, he has published 17 books, numerous workbooks, DVD’s and assorted media. The founder of the Heart Resonance energy system www.heartresonance.com , his message is simple but very deep and powerful. He believes that everything we desire as humans is obtainable from within ourselves, if only we get out of our own way and allow our divineness to arise. Visit his website www.trevorgollagher.com to learn about more ways Trevor can help you achieve a higher level of happiness and spiritual consciousness. This entry was posted in Uncategorized and tagged Divine Love, environment, happiness, healthy-living, higher consciousness, philosophy, quotes, spirituality, the now, trevor gollagher, universal consciousness, universal field, yoga. Bookmark the permalink. Who is Driving the Bus of Your Life?